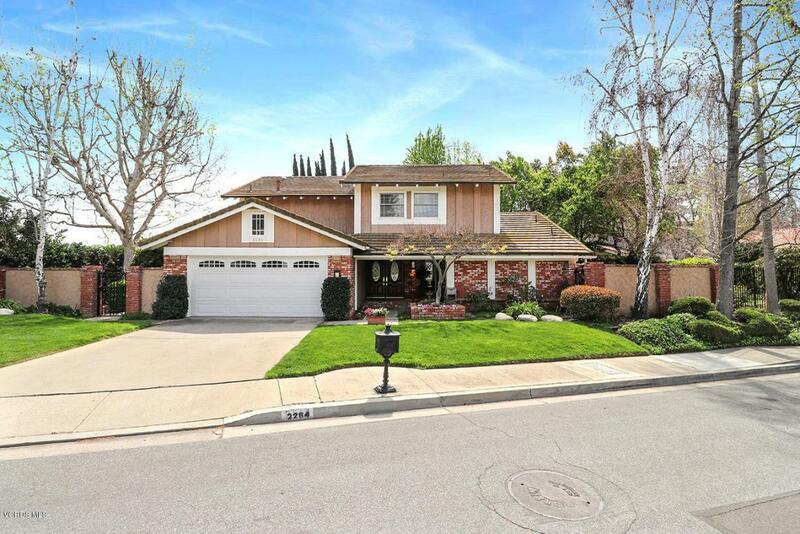 You will not want to miss this beautifully updated home in one of the most desirable neighborhoods in the heart of Westlake Village! Every aspect of this home has been recently & thoughtfully updated with only the finest materials. Designer selections abound including gorgeous distressed oak floors throughout the downstairs & part of the upstairs. Stunning gourmet eat-in kitchen completely remodeled with stylish white cabinetry, quartz countertops, mosaic glass backsplash, Miele steam oven, Bertazzoni baking oven, Bosch dishwasher, Panasonic Microwave, GE 5 burner cooktop & custom built- in window seating. Cathedral ceiling in the living room with floor to ceiling windows and French doors that infuse the home with natural light. Living & family room share a see thru fireplace, both sides w/ gorgeous stacked stone & custom mantles & screens. Extremely spacious laundry room off the kitchen with a built-in desk & abundant storage. At the top of the updated staircase w/ wooden steps & modern railing you will find a charming loft area. Master w/ a walk-in closet. Jack & Jill bedrooms share a beautifully updated bathroom w/ modern dual sink vanity. 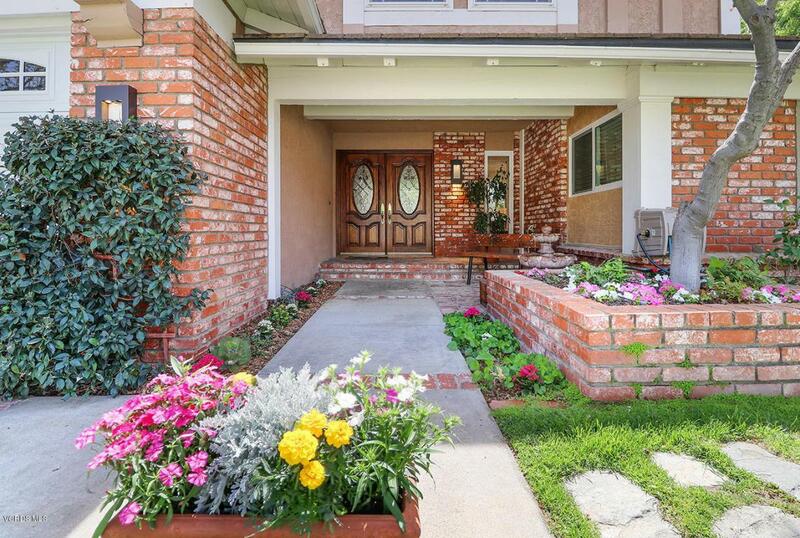 The private & serene backyard has a lovely grass area and Koi pond w/tranquil waterfall. This is a MUST see! 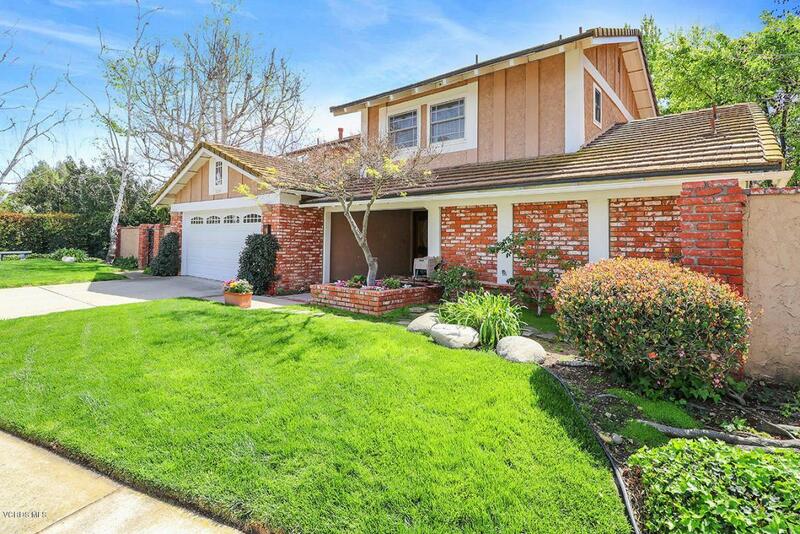 Sold by Laura Mcnulty BRE#00936321 of The Agency. 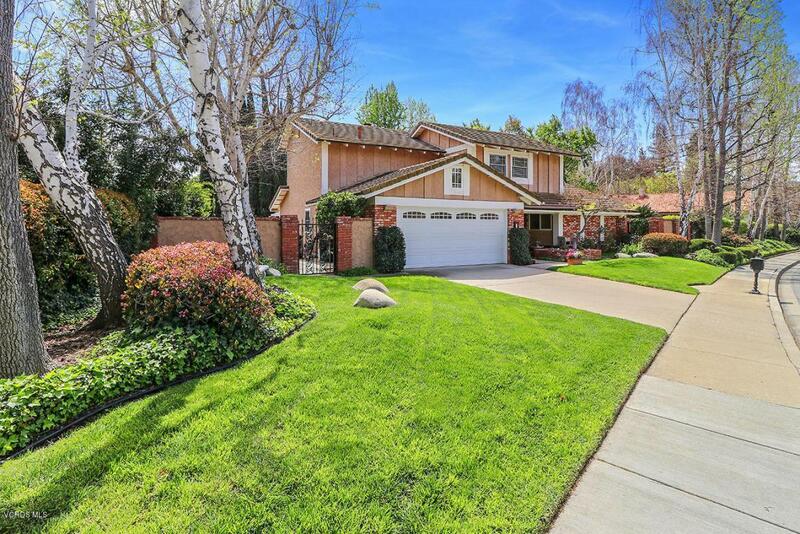 Listing provided courtesy of DRE#00936321 of Keller Williams Westlake Village.